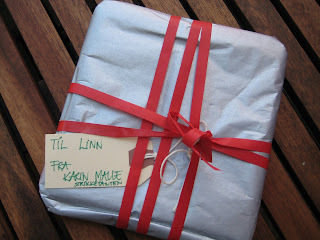 Yarnlove: Pay it forward package! 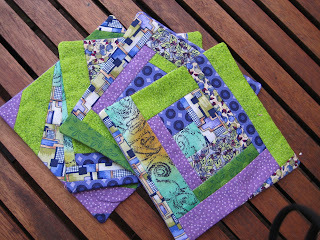 Four patchwork coasters! I was very inspired by them, and some day I will start patchworking myself. Not very soon, but hopefully this year. Thank you, Strikke-Tanten, both for these cute coasters, but also for making this world slightly sweeter by paying it forward. I've got one participant in my own pay it forward, so there's still two openings. I'd love to make something special for you. Leave a comment and you're in! And these coasters are pretty too !